Essentially, an Alkaline Diets promotes the consumption of green vegetables, citrus fruits, tubers, legumes, and nuts. The diet disapproves of the consumption of excess salt, grains, dairy, preserved food, processed goods, and meat. The concept of Alkaline Diets allows the body to balance a healthy pH balance ultimately making the body alkalizing, instead of acidic. This promotes a higher degree of energy, health, and well-being. This also averts the possibility of illness and infection, which can be life threatening. The benefits to health of Alkaline Diets have been well documented, making us well aware of its accomplishments, but what about weight loss? How do Alkaline Diets solve the problem of obesity? Is the diet effective in battling this age old problem, which seems to be the reason behind a growing number of illnesses and complications. Weight problems have been in existence since time immemorial. The problem began when the advent of agriculture first came into being. A variety of food has spread like wildfire, increasing the choice and availability of food. Gone are the days when man had to work hard, risk life itself, and hunt for food. With the introduction of a wider range of food and consumables, the trend of indulgence has always been on the rise. Consequently, the era of the bulge was born. This is the price we pay for progress, with progress, we sacrifice the need get up and flex our muscles. We no longer burn calories, and in turn, we are plagued with an insurmountable amount of fat, leading to a number of health risks, heart problems, and cancer. Society and culture also plays a large role in our downfall. The food in which society and culture dictates, is responsible for wrongly programming our mindsets, which make us think the wrong type of food is good for us. For example, bacon and eggs in the morning, ham and cheese sandwich for lunch, and a pot roast for dinner. We all know where the fat these types of food will go to and stay in, our bellies, and there it will remain, not unless we do something about it. The misconceptions instilled in our minds by society and culture, will be tough, if not impossible, to totally correct. It will take a slow paced amount of time to properly alter, through the right information and education. The journey will truly be difficult, the addiction to food will be seem to be impossible to overcome, but the rewards, if accomplished, will be worth our while. 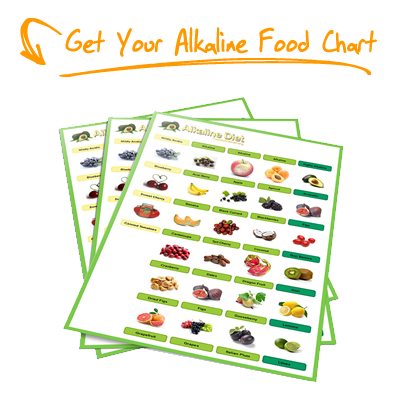 Alkaline diets not only avert excess acidity, it also promotes cleaner and healthier living, by burning most of what is consumed, and turning it into energy, as long as what we eat is prescribed and recommended in the diet, and nothing else. In other words, the body burns what it consumes, leaving fat nowhere else to go, but into the burning flames. 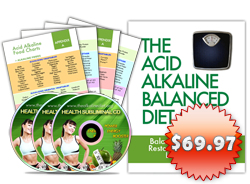 Say goodbye to the problems brought about by obesity, and embrace the benefits of what Alkaline Diets have to offer. 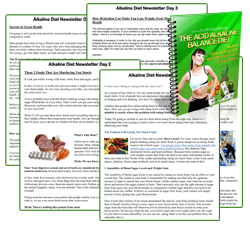 I have been following a alkaline diet for 1 month now. Have also been drinking filtered water 9.5. I have not lost any weight. It is staying the same. Can you tell me why this is happening? I have reviewed the diet and I don’t fell I will be able to follow it. I am on warfare for life and the amount of vitamin K and use of so many herbs concerns me. I would like to cancel. I also try your tips and it really very helpful to me and I also recommend it to the other health conscious persons.